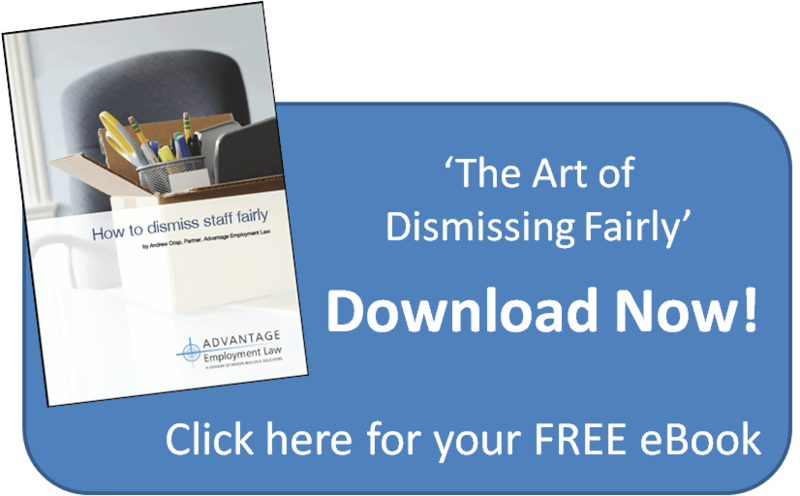 When deciding whether an employee has been unfairly dismissed for misconduct or poor performance, an employment tribunal will consider whether the business has followed a fair procedure, and must take the Acas Code into account when considering whether an employer has acted reasonably or not. The Acas Code of Practice (Acas Code) was introduced in 2009. Employers are required to follow the code in disciplinary situations. • If the business unreasonably failed to follow the Code, the employment tribunal may increase the employee’s compensation by up to 25%. • If the employee unreasonably failed to follow the Code, the employment tribunal may reduce their compensation by up to 25%. • The business must carry out a reasonable investigation of the issue (for example, by conducting an investigatory meeting with the employee under investigation). Any investigatory meeting should not result in disciplinary action without a disciplinary hearing taking place first. • If paid suspension is necessary during the investigation it should be as brief as possible and kept under review. The business should clarify that this is not in itself a form of disciplinary action. • If, following the investigation, it is found that there is a case to answer, the business should notify the employee in writing of the alleged misconduct or poor performance and its possible consequences in sufficient detail to enable them to respond at a disciplinary hearing. • The notification should set out details of the disciplinary hearing, for example, the time and place of the disciplinary hearing. • The disciplinary hearing should be held without unreasonable delay. However, the business must ensure the employee has reasonable time to prepare their case. • Any written evidence (for example, witness statements) should be provided to the employee. • The business should not make a decision to dismiss or take other disciplinary action without a disciplinary hearing or meeting taking place first. • If the employee is persistently unable or unwilling to attend, without good reason, the business is entitled to hold the meeting or hearing in their absence and make a decision on the available evidence. • The employee should have a reasonable opportunity to ask questions, present evidence, call relevant witnesses and raise points about any information provided by the business’ witnesses. • The employee’s right to appeal the decision and the procedure they need to follow to do so. • If the employee feels the disciplinary action against them is unjust, they should appeal in writing, specifying the grounds of their appeal. • If they bring a tribunal claim without appealing, any compensation they are awarded may be reduced. • Involve employees in developing workplace procedures, and make sure those procedures are transparent and accessible to employees. • Subscribe to an “all you can eat” advice service, such as HR Complete from Mason Bullock Solicitors. • Encourage managers to manage conduct and performance issues quickly and informally before they get to a formal disciplinary stage. • Investigate issues thoroughly. Even if the employee has attended an investigatory interview, always hold a disciplinary hearing once all the evidence is available, and allow the employee to put their side of the story before making any decision. • Keep written records, including minutes of meetings. If you do need advice on disciplining an employee, feel free to give me a call on 01604 619 810 for a free consultation.